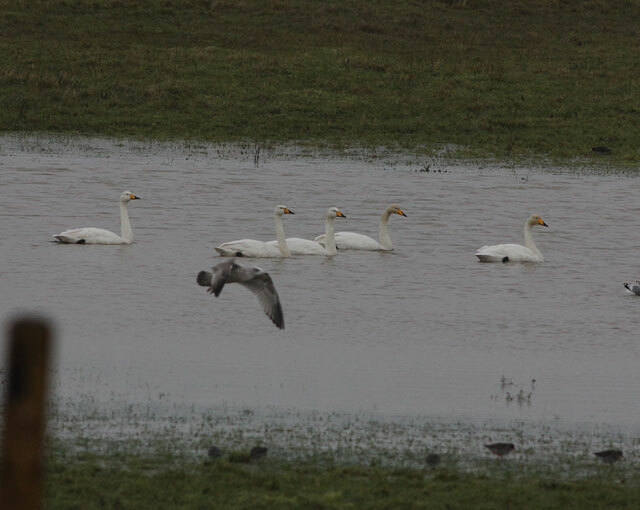 Three adult Bewick's Swan, the first for over two year's in the district, were present on Scalby Lodge Pond during the morning, unfortunately though they didn't stick around long! Also there were 14 Teal and 54 Curlew. A further 7 Whooper Swans flew north past Marine Drive, at least 3 Black-necked Grebe remained around the Harbour and at Scalby Mills there were 20 Common Gull, 370 Black-headed Gull, 110 Great Black-backed Gull and 460 Herring Gull.